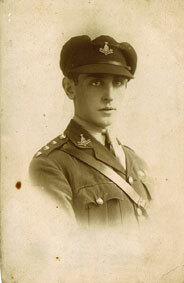 Captain Harrison originally joined the Army Service Corps as a Private and by 9 March 1916 was in France. He joined the 4th Battalion The Yorkshire Regiment on 3 July 1918, having been promoted to 2nd Lieutenant on 26 June. 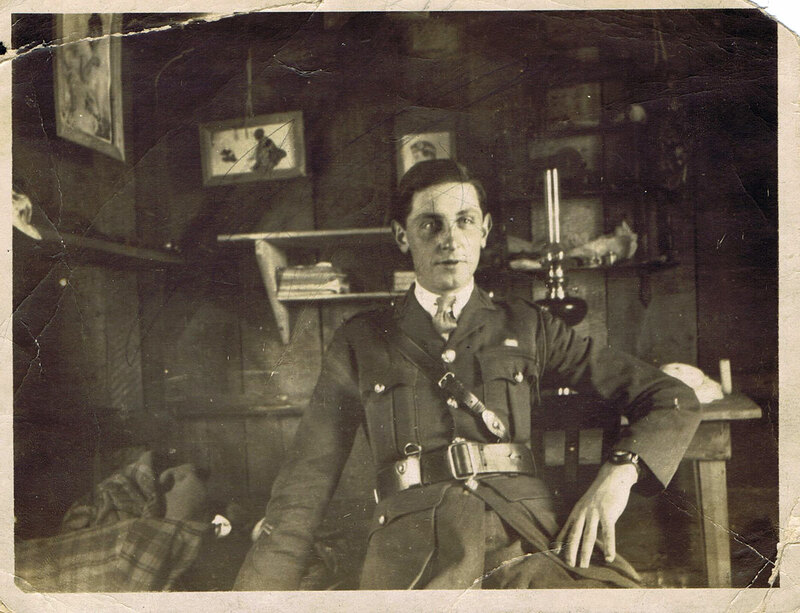 In December 1918 he was sent to supervise German prisoners at Fort Macdonald near Lille in France. The Green Howards Museum were presented with a collection of items belonging to Captain William Alexander Harrison. 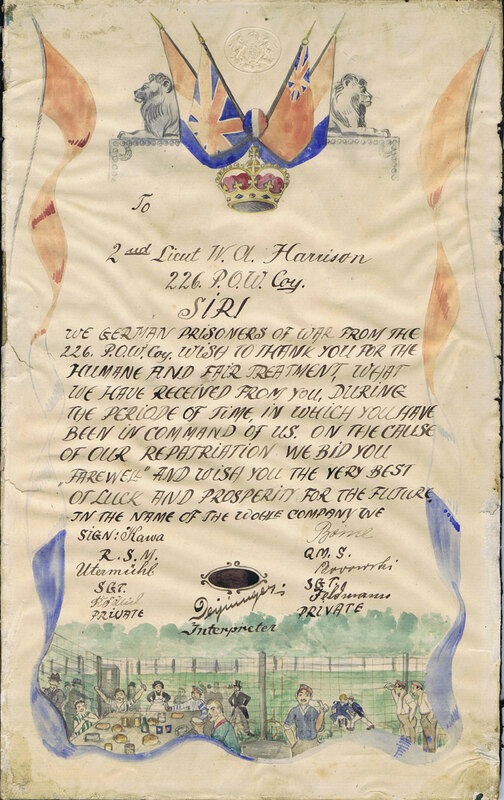 They include two illustrated letters from German prisoners written at the end of the First World War and a series of photographs of a POW camp and of Harrison himself. We are extremely grateful to the Green Howards Museum for permission to present these photos and the story. Captain Harrison originally joined the Army Service Corps as a Private and by 9 March 1916 was in France. He joined the 4th Battalion The Yorkshire Regiment on 3 July 1918, having been promoted to 2nd Lieutenant on 26 June. 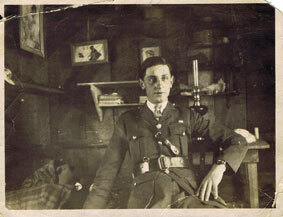 In December 1918 he was sent to supervise German prisoners at Fort Macdonald near Lille in France. 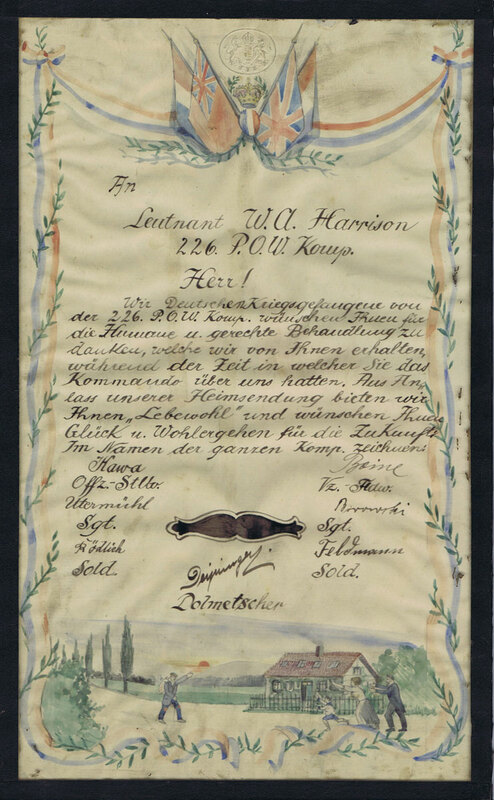 To express their thanks at their fair treatment German POWs wrote two illustrated thank-you letters to Harrison. 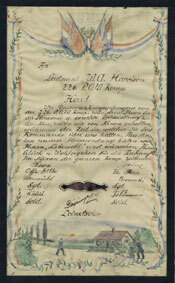 There are two versions of the document, in German and in English, each written and painted on a piece of British War Office paper. The English version reads, ‘To 2nd Lieut W.A. Harrison 226 P.O.W. Coy. Sir! We German prisoners of war from the 226 P.O.W. Coy wish to thank you for the humane and fair treatment what we have received from you, during the period of time, in which you have been in command of us. On the cause of our repatriation we bid you ‘farewell’ and wish you the very best of luck and prosperity for the future in the name of the whole company.’ It is signed by the Regimental Sergeant Major, the Quartermaster Sergeant, two Sergeants and two privates. At the foot of the English version is a watercolour of the camp, with prisoners sitting round a well-stocked table or looking at the people beyond the wire. The German version, by contrast, has a touching scene of a prisoner being welcomed home to a cottage after his repatriation. Both versions have an array of British and French flags and a royal crown at the top. 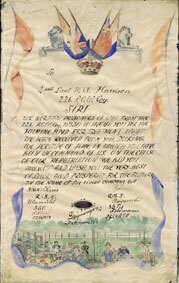 Harrison rose to the rank of Captain, retiring from the army in May 1922. He became a clock and watch repairer in Wiltshire. The Green Howards Museum is very grateful to the executors of the son of William Harrison for depositing these items at the museum which provide such a fascinating insight into a little known aspect of the First World War.